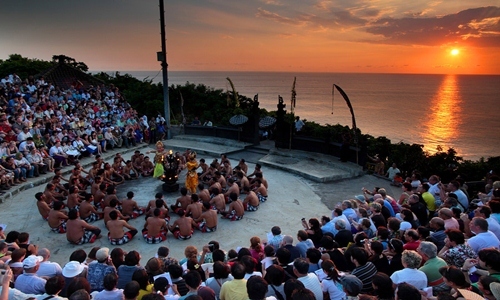 Bali Water Sports and Uluwatu temple Tours is one of popular Bali combination tour Package which duration 10 – 12 hour tour trip. 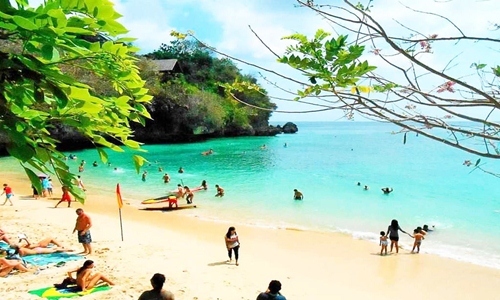 Which is visit Tanjung Benoa Beach for Water Sports is our main itinerary on this tour. 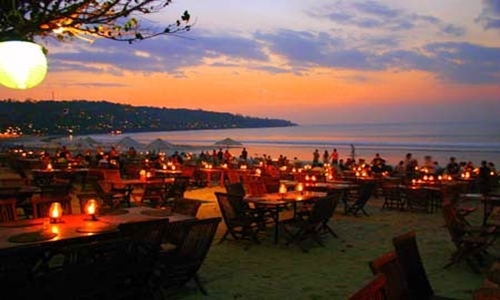 And then continue to visit others tourist interesting places in south part of Bali island such as: visit GWK ( Garuda Wisnu Kencana Cultural Park ), visit Padang – Padang beach, visit Uluwatu temple, Watching Kecak dance and then seafood dinner at Jimbaran Bay. 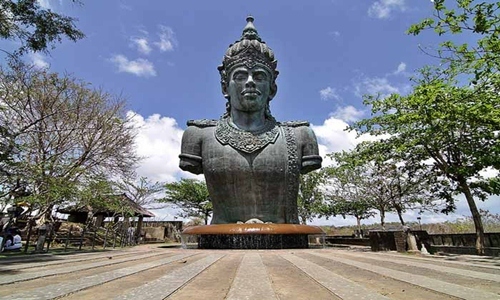 Water sport and Uluwatu temple tour is one of best selection of Bali combination tour which is the tour itinerary has been designed with you in mind, however we will more than happy if you would like to change one of our itinerary with other tourist interesting places. Please contact us for best arrangement and get special offer for book more than 2 person. 16:00 ~ Visit Uluwatu temple, one of popular tourist attraction in Bali which is offer beautiful view located on top of cliff bank. 20:00 ~ Back to hotel. 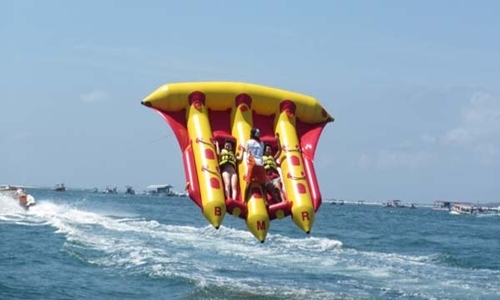 Water sports package: Flying Fish, Banana Boat ( can be change based on your request, please contact us if you like to change with other water sport activities).